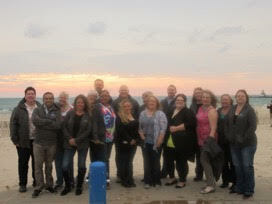 The 2015 Atira Retreat commenced in Benton Harbor this year. The day and a half retreat consisted of a lovely dinner in St. Joseph, Michigan, making glass frames at the local Water Street Glass Works, and of course, riding the carousel at the Silver Beach Carousel. Employees learned the ins and outs of various operations, sales and management techniques, and reviewed budget and business plans for 2016. Thank you team for the awesome time!